The Pottermore team has made available the next 7 chapters of the second book, The Chamber of Secrets. You may now “explore” them on Pottermore. 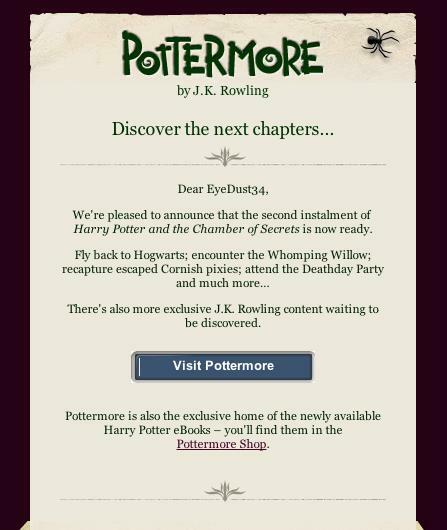 Pottermore has sent an email to its users with regards to these new chapters. Where can I find all 25 Galleons so I can get the badge? Is chapter 12 of book 2 out yet? Or is it just me?